I have a new favorite cookie…….at least for now. 🙂 I came across this cookie some time ago. I don’t know what took me so long to make it, but am I ever glad I did. The recipe comes from Foodiechicksrule.com. You know what a cookie monster I am. Well, this is the best cookie that I have had in a very long time. These are the most buttery, sweet little gems. They are both crispy and chewy. Seriously. I could go on and on about how much I love these little babies. I love a good sugar cookie. 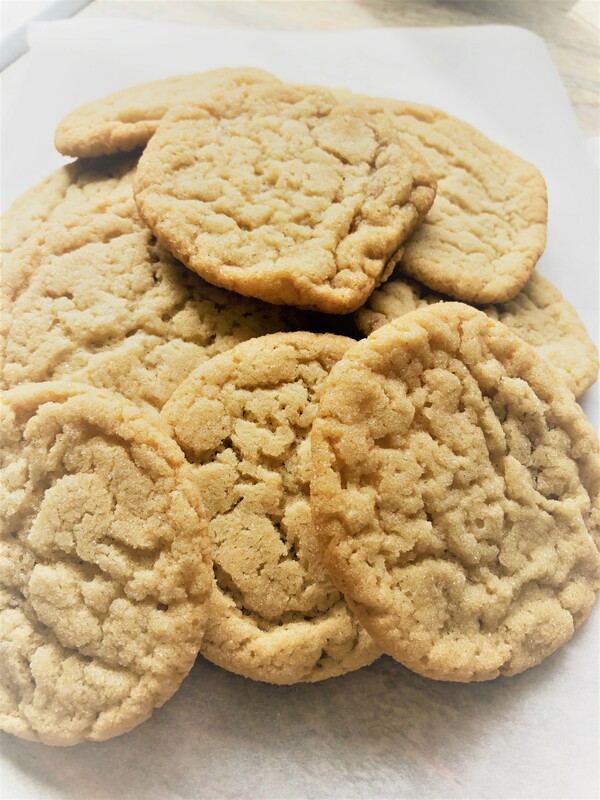 I have a favorite recipe that I use when I am in the mood for a no fuss, simple sugar cookie. But these are made with brown sugar……..dark brown sugar. I am in love. You must make these cookies. I promise you, you will make them again and again. It’s amazing how much the butter flavor comes through. Please, please make these. Today. Now. If you’re at work, tell the boss that you must go home and bake cookies.You will be so happy! Oh, I should let you know….these cookies are not only addicting, but they are very sweet. They are rolled in sugar too, which makes them even more sweet. After I made the first batch, I didn’t roll them in sugar. They don’t need it. However, rolling the dough balls in sugar is what helps give it that super crackly surface. Ok, that’s all. Go bake now. Beat the butter until light and fluffy. 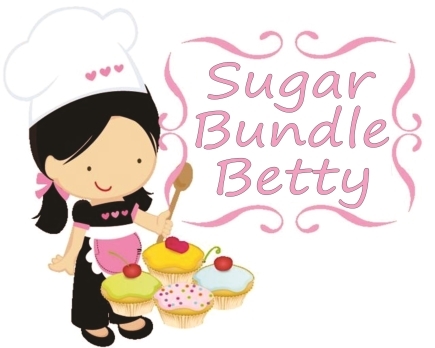 Add the sugars and beat for 2 minutes. Beat in the egg and vanilla. In a small bowl, combine the flour, baking soda, cream of tartar and salt. Gradually add to the creamed mixture but don’t overmix. Roll the dough into little balls (1 inch). Roll them in sugar and place on an ungreased, unlined baking sheet. CHILL for about 10 minutes. Bake for 10-12 minutes. You may not notice the crackles at first, but as they sit and cool, the crackly surface will appear. They are just as good day 2 or 3, as they are on day 1. What is it about pasta that is just so comforting? I love it! 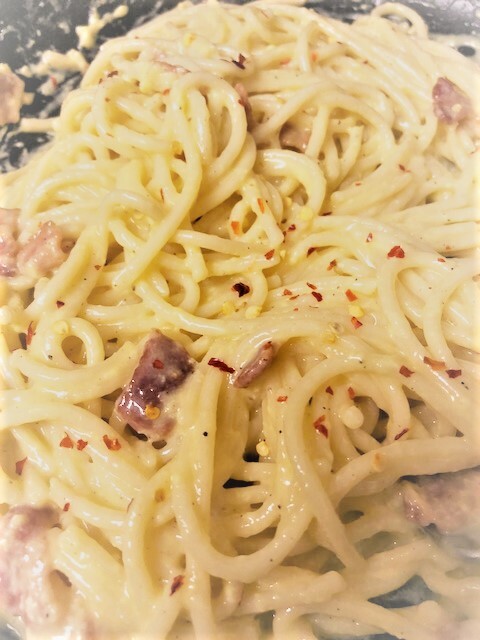 There is a family favorite that I used to make all the time….carbonara. It’s the ultimate comfort food. But wow is it ever heavy and rich. My version is loaded with sausage, bacon, cream, butter, cheese. You know…..all the good stuff. Ha! Well, I don’t make that one much these days. But maybe I should and share it with ya’ll sometime soon. Recently, I saw a super quick simple version of carbonara on a cooking show. I was skeptical but I tried it and was surprised at how good it was. It was too easy and quick to be that good! There is no cream in it….no liquid at all, but you would swear there is! It’s very creamy, but it’s from the eggs and cheese. If you want a quick, filling comfort dish, well then here ya go! Here is my version. I am not at all happy with my photo quality lately. I am in need of a better camera. Bear with me! In a large skillet, cook the bacon. While the bacon is cooking, in a small bowl, whisk the eggs really well. Mix in the grated cheese. Set aside. Once the bacon is cooked, leave a couple of tablespoons of the bacon fat in the pan. Add the hot, drained pasta to the pan. Add the butter and give it all a toss to coat the pasta with all that yummy goodness. Add the egg/cheese mixture and quickly and vigorously mix it all together for 1 to 2 minutes. It should look nice and creamy. Sprinkle with black pepper or red pepper flakes. Serve immediately. I really like those little boxes of Rice a Roni. Bad thing is, they’re loaded with salt. But they come in handy and make a great side dish. 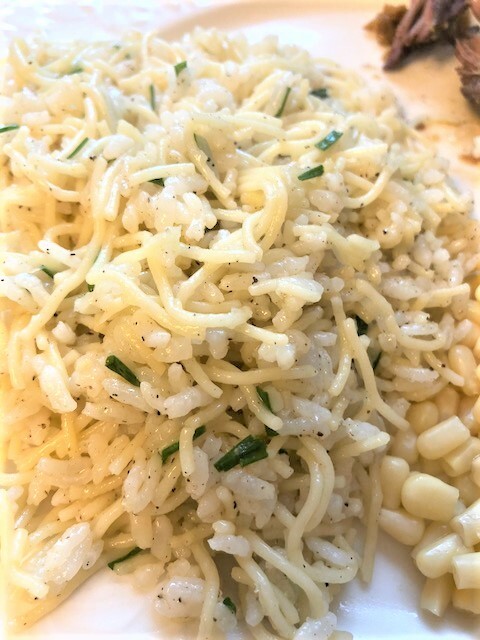 The combination of rice and noodles….Yum! The other night, I was looking for a side dish for some beef that I cooked. I had some leftover rice and some leftover angel hair pasta. Hmmmm, I thought…….I will make my own rice-a roni!!! It was really good. Super simple too. It was pretty basic, but you could add whatever you want and make it your own! Not much else to say about it, so let’s get to it…. Melt 2 tblsp butter in a large non stick skillet. Add the water, garlic powder, bouillon cube and black pepper. Add the pasta and rice and gently stir it all together. Don’t over mix or you will have a glumpy mess. Once heated through, add the chives or green onion. Serve immediately.